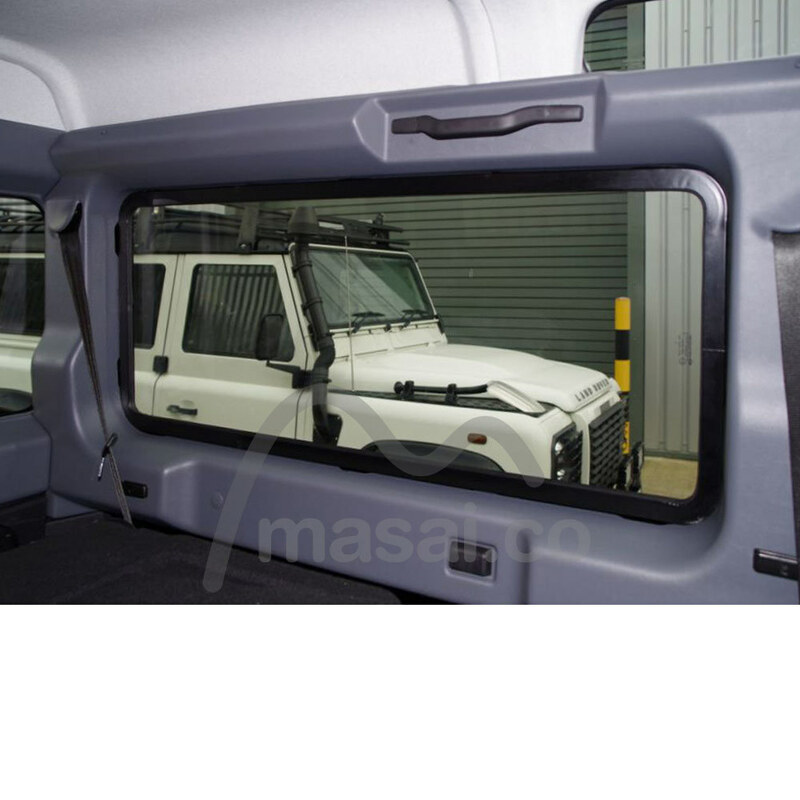 Land Rover Defender 110 Fixed Windows (non-opening). USA / CANADA CUSTOMERS: We cannot ship with the fitting kit due to customs restrictions. You will need to source your own silicone adhesive. We recommend at least 300ml x 3 of silicone to fit the sides and quarter light windows. 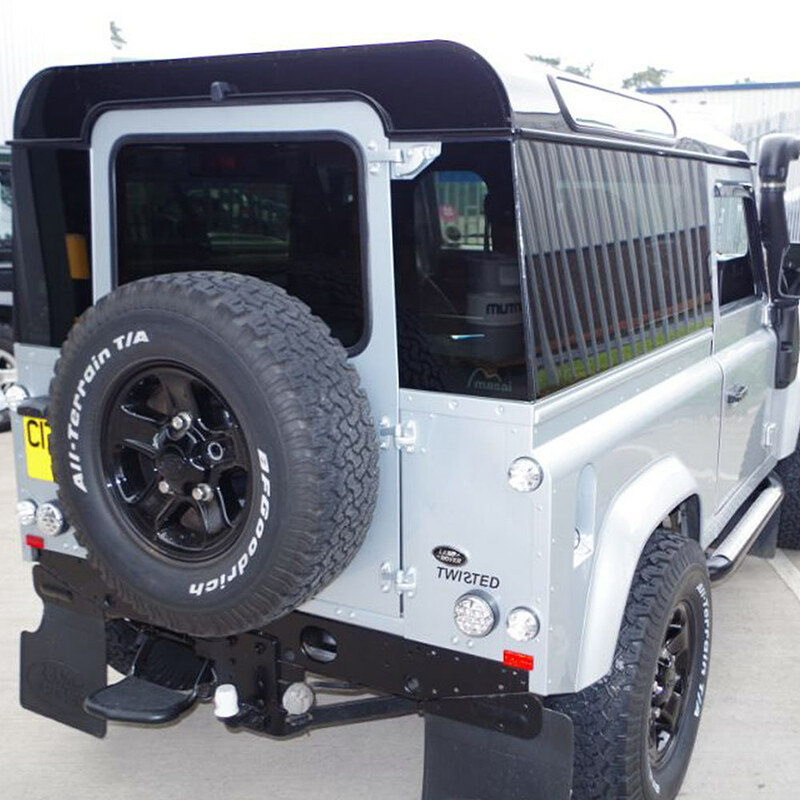 Panoramic Defender 110 Side Windows come as a PAIR, as do quarter light windows. Our Kit comes with: Würth primer, silicone adhesive, cleaning wipes and primer applicator, a paper template to cut out side apertures / quarters and fitting instructions booklet. Additionally: One extra tube of silicone is provided if you order Quarters, and one further extra silicone tube if you order a Panoramic rear door glass. Innovative and exclusive, future-proof design. 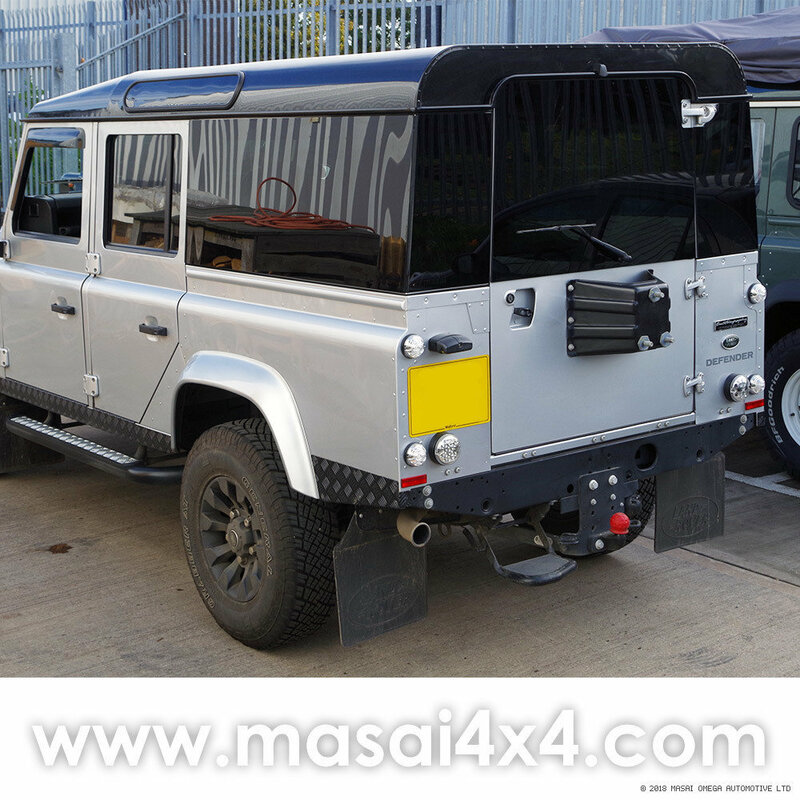 Increases resale value of your Defender. 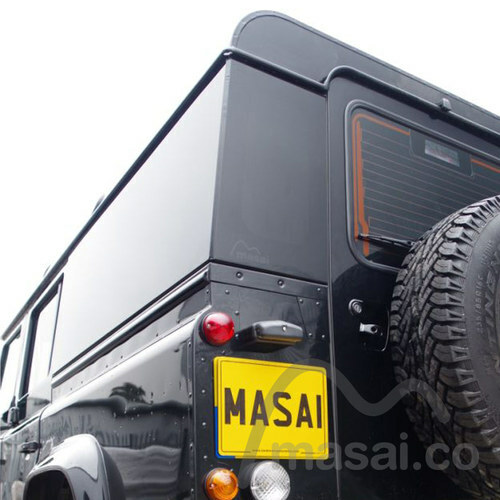 Masai Panoramic Defender windows include an aluminium inner frame for aesthetics (see thumbnail photos on the right) - Copycat competitors do not. Locking sliding version also available. 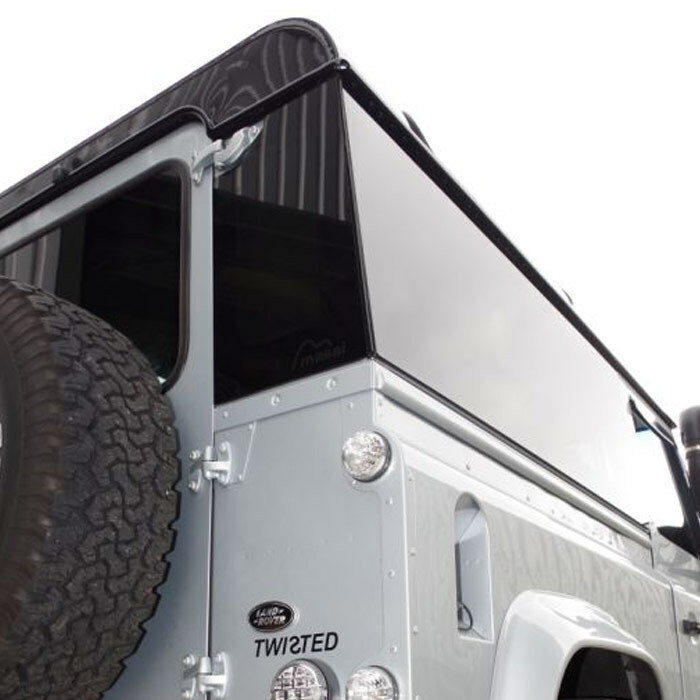 Use to replace standard Land Rover Defender side windows, part numbers: MUC3766 superseded by MWC4734, MUC3767 superseded by MWC4735. 70% no-light transmission factory prepared privacy tint. E43R approved 4mm toughened safety glass. European Commission Directive 2001/92/EC, Regulation No 43 of the UN/ECE – we put safety standards first. Reflects heat and reduces glare. Greater security than factory-fit standard windows. Silicone adhesive heat tolerance is -40 to +90 degrees C.
Download and Print Fitting Instructions CLICK HERE. See our Fitting Video CLICK HERE. Want to know more about Masai Panoramic windows? CLICK HERE. Want to know how our windows suit various body colours? CLICK HERE. 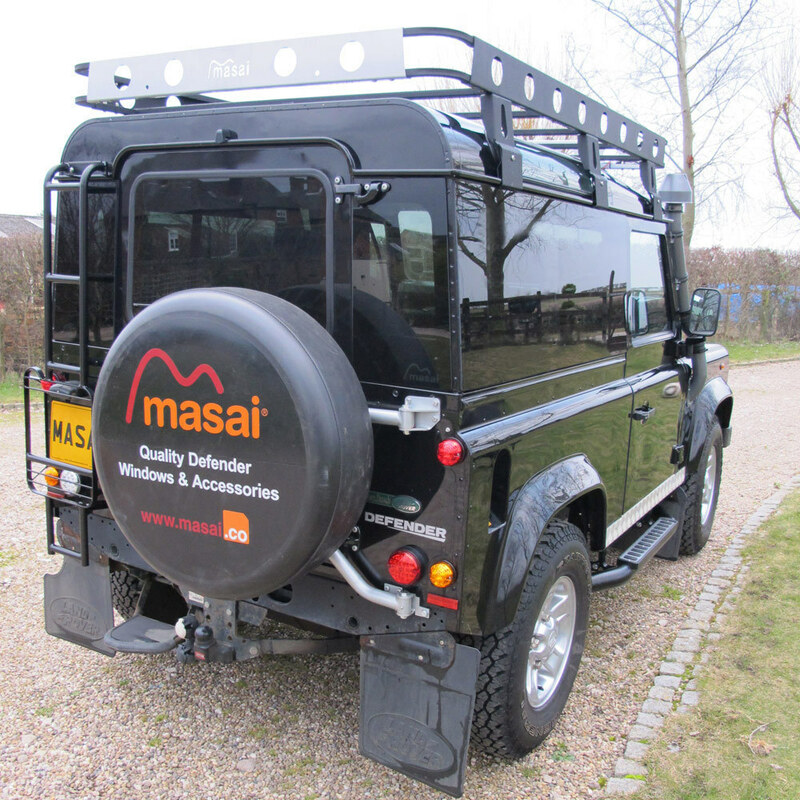 See more photos of Masai Panoramic windows fitted to various Defenders CLICK HERE. With or without Heated Tinted Rear Door Glass (Either Pre 02, Post 02 or Panoramic). REAR DOOR GLASS NOTE :If you purchase the rear door glass too - (Post 2002 ONLY) Carefully remove existing rear door glass without damaging the rubber - as you will need to re-use it. Carefully remove brake light including brackets from old glass as you will need to glue to new glass. NOTE: REAR QUARTER LIGHTS: The Maxi version is now supplied which is 1cm wider than before and takes the quarterlight glass right to the edge of the vehicle. (You will need to fill the edge joint with the silicone sealant provided). 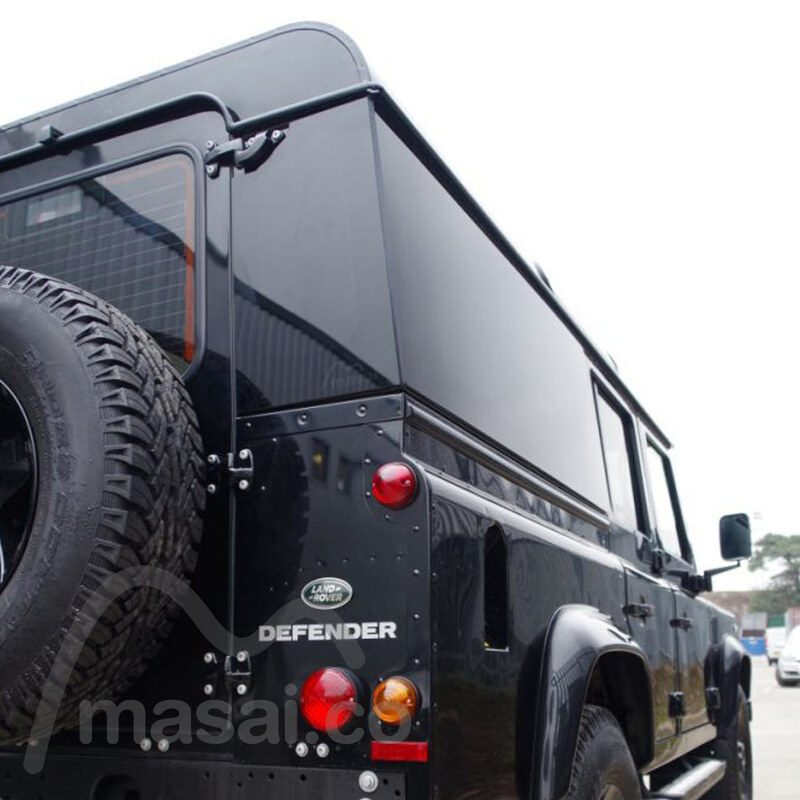 What Year is your Defender?